Aug. 14, 2013. The Cottages of Boone, the Capstone Collegiate Community (CCC) development off Poplar Grove South Road has been delayed once again, and now all tenants cannot move in before Aug. 18. As of Tuesday morning, The Cottages of Boone does not have a certificate of occupancy, Joe Furman, director of Watauga County Planning & Inspections, said. Furman didn’t divulge the details of the eight-building inspection, but he did say they didn’t “pass” an inspection this morning. Eileen Clare, a mother of a student tenant, over the past three weeks has tried to contact Cottages to make sure her son will be able to move in. But, as of recently, the phone number for the Cottages of Boone sends any caller to an automated voicemail system. Because of the shift in the move-in date, her son won’t have housing once Caldwell Community College & Technical Institute starts Thursday. Students and parents alike have been expressing their frustration on The Cottages of Boone Facebook page during the past few weeks, specifically condemning the developers for informing tenants of delays so close to move-in week for ASU, which begins the fall semester on Aug. 20. Early June, Jen Wilson, VP of marketing and leasing for the Cottages, said that one lodge-style unit that is supposed to house approximately 40 residents would be “delayed for a short period of time” because of weather. But, the delays continued on through July as record rain continued to fall. On July 31, 360 tenants were told that they would not be able to move-in to the development on the proposed move-in date Aug 15. Two weeks ago, one student told the HCPress.com that his building had not even been built yet. However, these tenants had the option to either take a $15 per diem, pay the first months rent and live two-to-a-room in a hotel. Or to not pay first months rent, live elsewhere and wait for their unit in The Cottages to be completed. Now, all tenants are being told move-in has been delayed after the first month’s rent has already been collected. The Cottages will not be providing alternative housing or storage for the tenants informed last night via email. While pushing the date back when students can move-in has caused Clare to shuffle her schedule, Russ Zelmer, a parent from California, posted on Facebook that he recently flew out from California to help move his daughter in and that furniture is to be delivered Friday. Zelmer posted that he was notified last night that he would be turned away at the gate if he arrives at The Cottages before Aug. 18. “If it was me, I would find another place,” Russ Zellmer posted. The Cottages of Boone has not responded on multiple attempts for a comment. The development, once finished will have 894 beds, offered in three-, four- or five-bedroom cottages, as well as in one-, three- or four-bedroom lodge apartments. There are also plans for a swimming pool and fitness center at The Cottages of Boone. 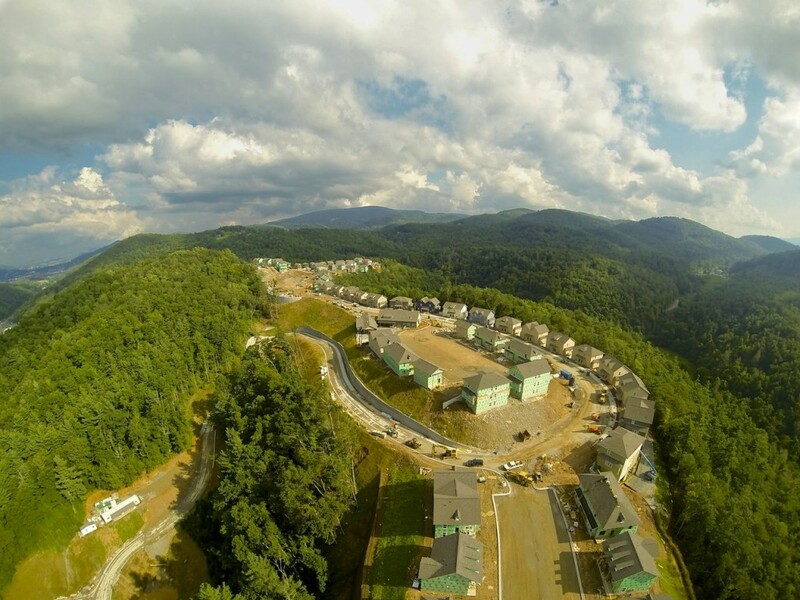 The Cottages, when finished, would be the largest student housing community in Watauga County, according to Furman. The Cottages of Boone leasing office is directly beside Appalachian State campus at 969 Rivers Street.